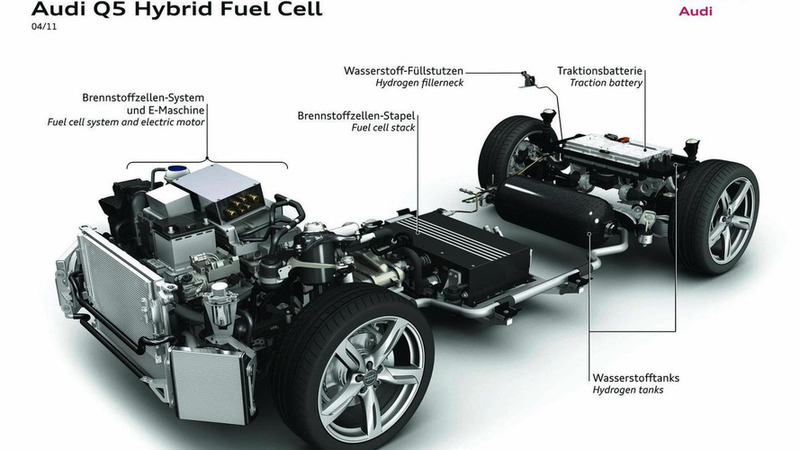 Audi developing a hybrid fuel cell drivetrain on a Q5-based prototype that combines a hydrogen-powered car with a hybrid set up that includes a 1.3 kWh lithium-ion battery. 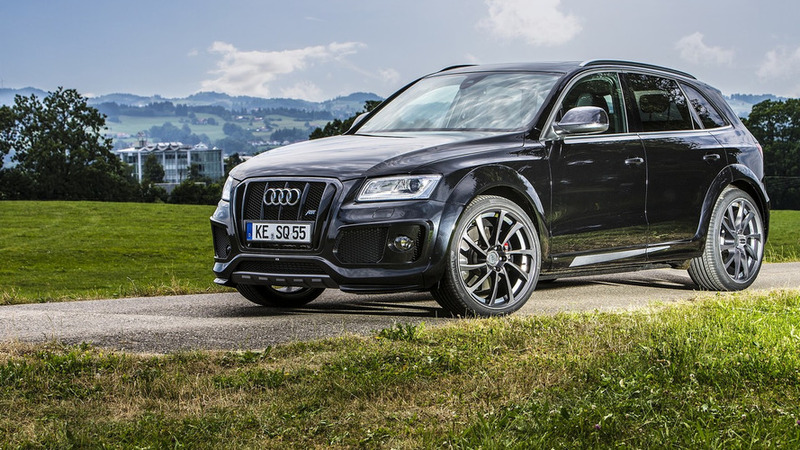 Audi has brought the experimental Q5 Hybrid Fuel Cell (HFC) to the Michelin Challenge Bibendum, an event showcasing sustainable mobility technologies, which took place at the old Berlin airport (Tempelhof) this past weekend (May 18 to 22). 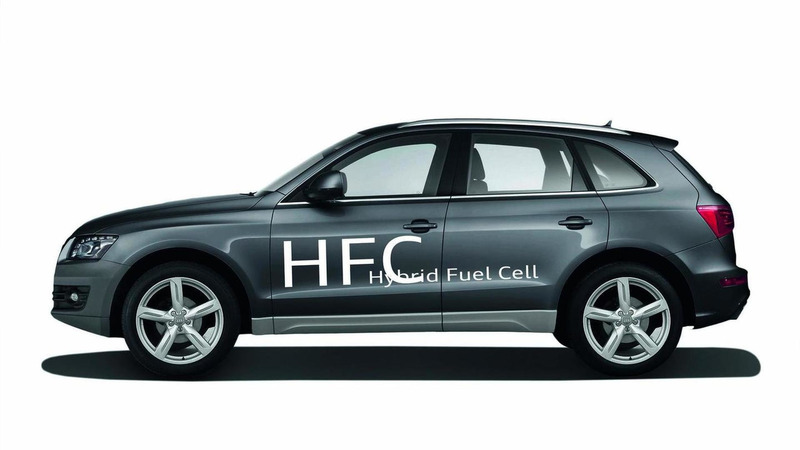 With the Q5 HFC, Audi is exploring the potential of combining hydrogen fuel cell technology with a hybrid drivetrain for greater range and efficiency over a standard hydrogen-power car (which generates electricity to drive the vehicle). The Q5 HFC features two high-pressure cylinders where the hydrogen is stored at a pressure rate of 700 bar (10,153 psi). The fuel cell is made of a polymer electrolyte membrane (PEM) and has an output of 98 kW (133 PS / 131 bhp). A 1.3 kWh lithium-ion battery is also able to store energy while two electric motors mounted close to the wheels, with a combined output of 90 kW (122 PS / 121 bhp) and up to 420 Nm (309.78 lb-ft) of torque, drive the Q5. Audi did not provide further details on range or fuel-economy but the model is still in the very early stages of testing. All hydrogen-powered cars are zero-emission vehicles, emitting only water, but this Q5 HFC may make the real-world viability of a hydrogen fuel cell car far more of a possibility.